Building the high road since 1947. We build the roads you travel, water systems you drink from, industrial parks where you work, subdivisions you live in, and outdoor spaces where you relax. 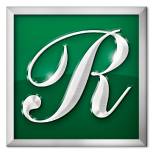 No one has more experience than The Reesman Company’s family of educated, qualified, and hardworking staff. Whether you’re developing a commercial building, retail center, subdivision, or an industrial project; The Reesman Company will establish an accurate budget and a timeline that we will honor. Partnering with architects, The Reesman Company provides valuable insight into design, site restrictions, cost structures, and feasibility studies for all types of projects and budget ranges. We work with civil engineers to help design, construct and maintain the physically built environment. Alternate cost savings and value engineering are among The Reesman Company’s specialties. Reesman is your complete source for creative design, expert installation, and meticulous maintenance. Partner with our Landscape Design Team and turn your project vision into reality. Plan It begins with your idea. We take your vision and make it reality. Reesman’s strategic process ensures your idea is thoroughly planned and seamlessly executed. Design Designing your dream project is our passion. Our team of outdoor design experts will develop a solution to make your dream come to fruition. Build With your vision, budget and lifestyle in mind, Reesman will build a beautiful outdoor environment that continues to grow in value, season after season. Maintain For those who prefer to leave their property management and landscape care to experienced experts, Reesman will maintain your asset while you enjoy your life.